MSF has been active in displaced people camps, establishing health clinics, and carrying out mass vaccination campaigns. We support nutrition and paediatric services, and assist in the installation of latrines and finding solutions to accessing clean drinking water. MSF’s support in Angola is broad; from basic healthcare to targeted clinical services for people with yellow fever, tuberculosis (TB), HIV/AIDS, and Human African Trypanosomiasis (sleeping sickness). In addition to direct management of patients, MSF trains officials from the Ministry of Health and other organisations and donates medical supplies to provincial and municipal hospitals. 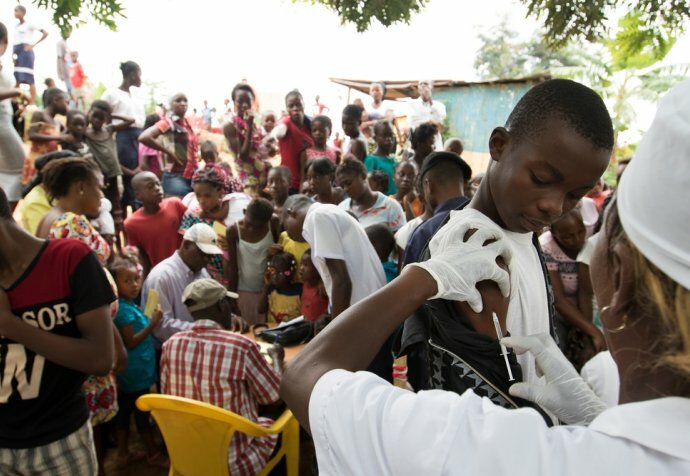 At the request of the Angolan authorities, MSF has responded to cholera outbreaks and trained local medical staff. A dedicated emergency team is ready to be deployed in the event of a health alert in the country, and MSF will continue to support the local authorities in providing healthcare services.